I grew potatoes in a trash can before. It was a fun experiment, and the harvest was fun and easy. 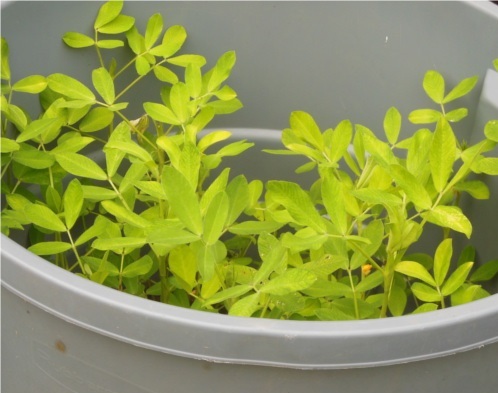 Peanuts require extended periods of warm weather (at least 120 to 130 frost free days), and the Rubbermaid container will help the plants get a good/warmer start. And you know what they say, everybody loves a nut. Ahem, don’t you mean that everybody loves a legume? What the heck is a legume? A peanut is a legume. Despite the name, a peanut is not a pea and is not a nut. 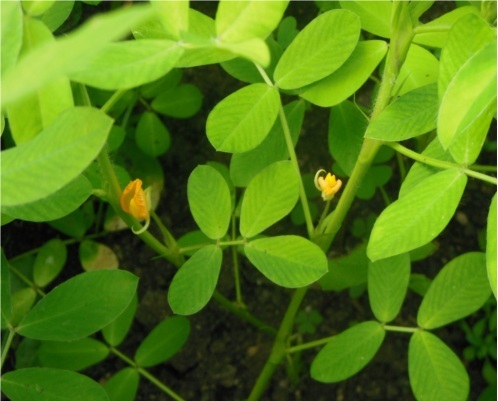 It is actually related to other legumes including beans and lentils. Is Mr. Peanut aware of his origins? 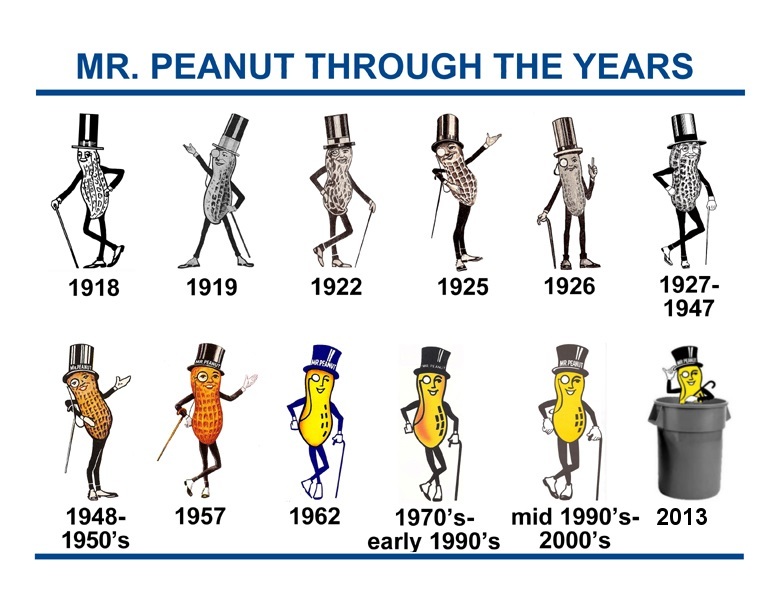 Actually, I have always wondered about the origins of Mr. Peanut. I mean, a peanut with a top hat, cane, and monocle is not an everyday occurrence. I think it looks like a costume. It’s as though he is a superhero with a secret identity. Off topic: What is Mr Peanut’s secret Identity? 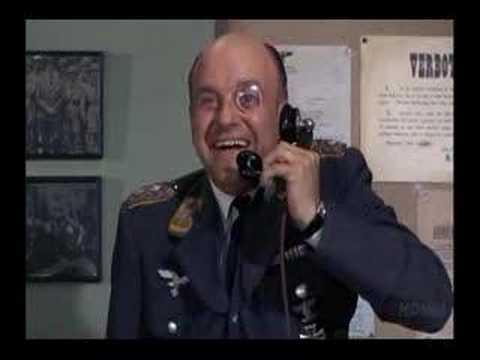 That monocle had me thinking of Colonel Mustard and Colonel Klink. But I doubt that a Colonel Peanut would willingly give up his rank. The top hat is the real giveaway. 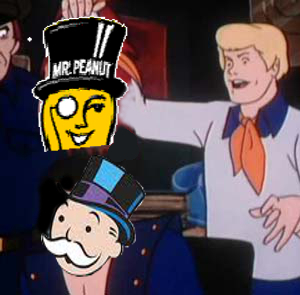 And after a few Scooby snacks in the back of The Mystery Machine, it’s time to unmask Mr Peanut. 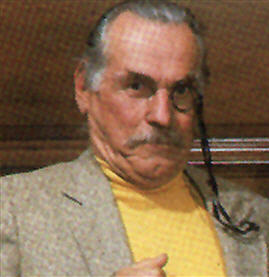 It turns out he is… Mr Monopoly?!?!?! But you know how truth can be stranger than fiction. Below is the true, and humorous, story of the peanut mascot’s origin. Anyway, warm air, light soil, and some room to grow. I have the plants spaced fairly closely in the can, but there is enough room for peanuts to grow. In no time at all, (or 4-5 months, whichever is longer), you should have a fine peanut harvest.